The office has two 22-foot-tall green walls designed to look like maps of the city and boardrooms named after Calgary communities. Where is it: 101, 134 11 Ave. S.E. 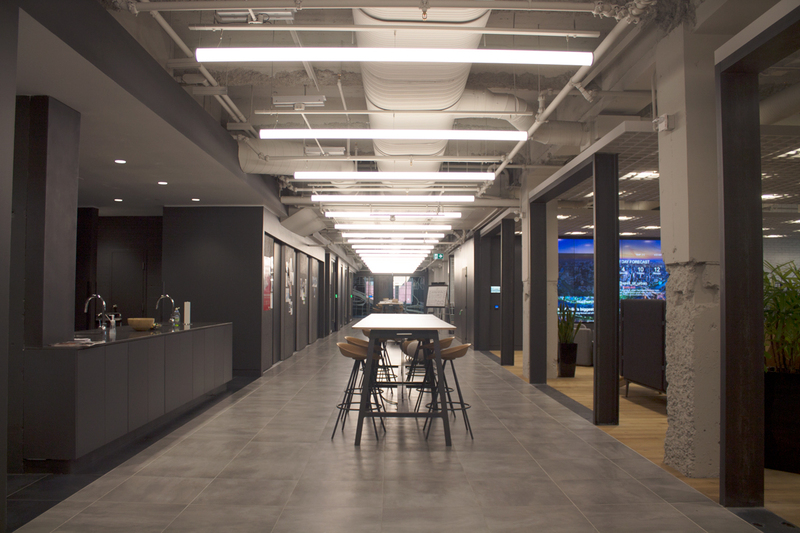 After years of working in offices in the Sunridge Business Park, Urban Systems‘ Calgary branch decided to make the move to a more central area of the city. 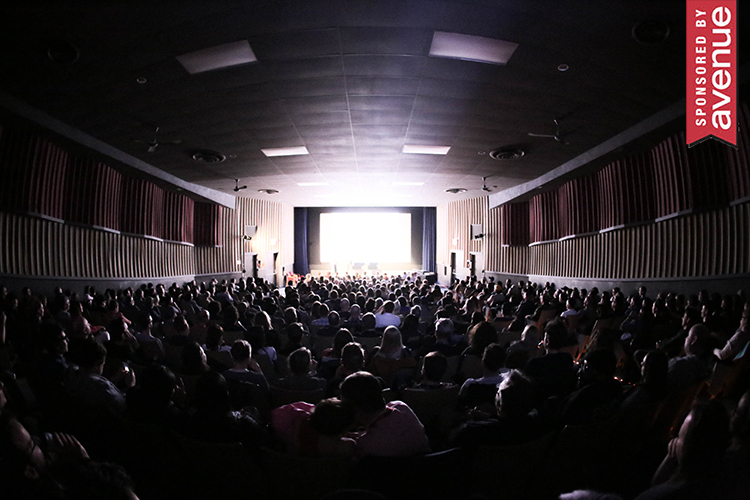 Ideally looking for an older space with plenty of character, the team eventually settled on the National Music Centre’s former office space in the Customs House, a 1916 building that is a municipal and provincial historic resource. 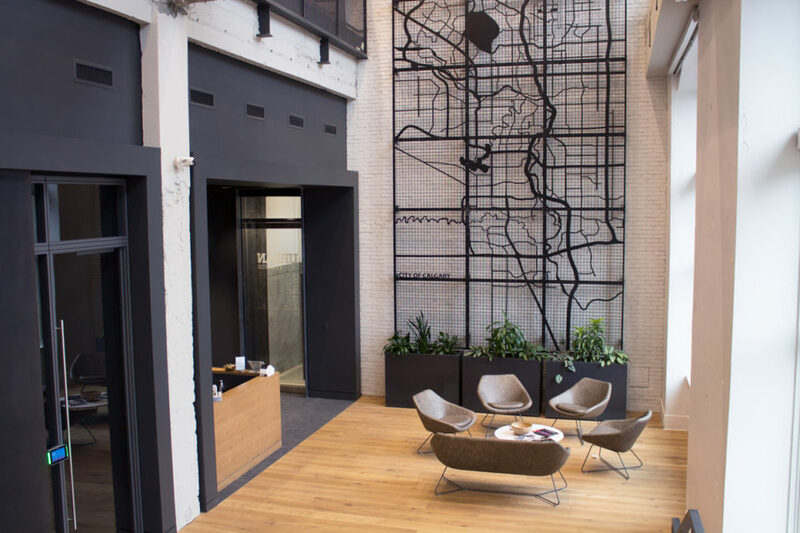 Urban Systems brought on Nyhoff Architecture to help turn the space into their new home, which they moved into in July 2018. But renovating the Customs House space wasn’t without its challenges — there were hazardous materials in the building that had to be dealt with, the first and second floors weren’t connected and the building’s status as a historic resource had to be taken into consideration. 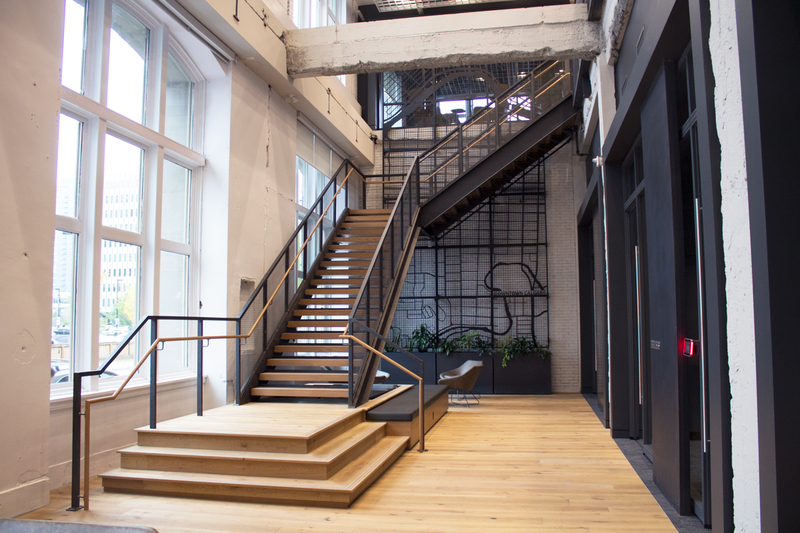 In the end, the team spent six months taking away part of the second floor and adding a staircase to connect it to the first floor. 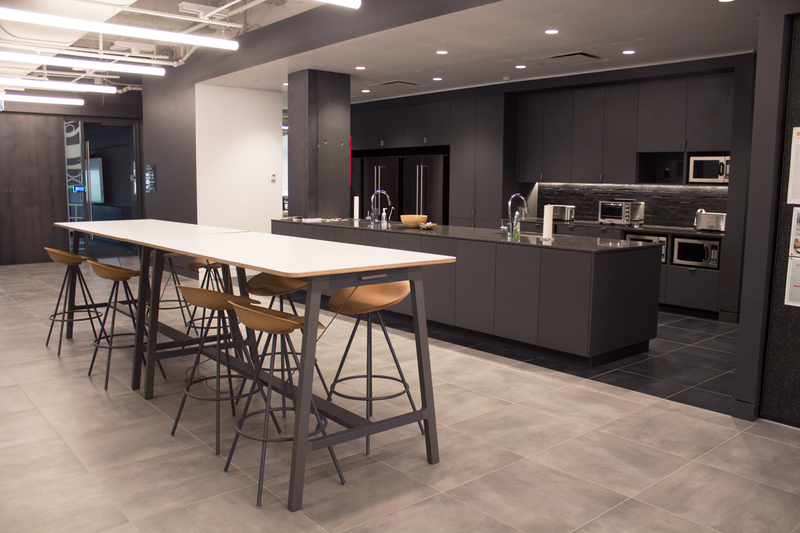 As Urban Systems’ largest branch, it was also important to create an office space where the Calgary staff could easily interact and connect. 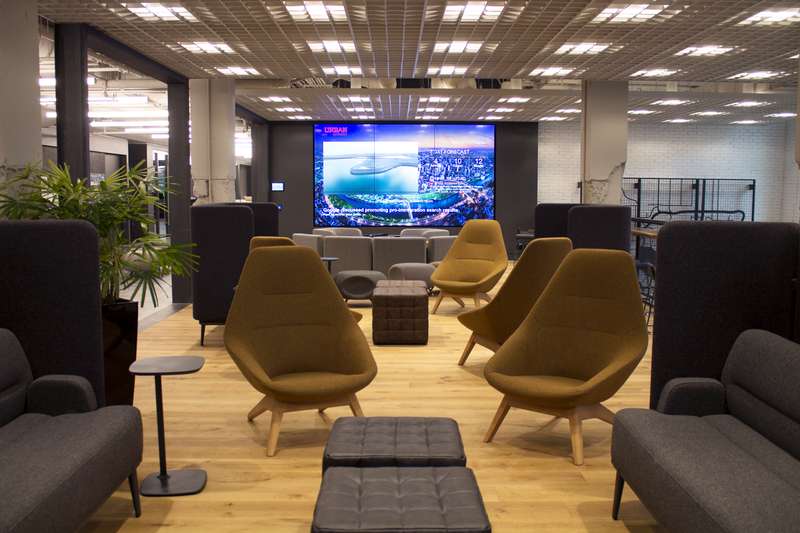 The office was designed to have an open floor plan that features social spaces and different kinds of work environments that the staff can take advantage of when they need a break from their desk. Urban Systems and Nyhoff Architecture also wanted to showcase the building’s character and history through the materials they used and elements inspired by city maps and grids. “What was really important, and Urban was on board with, was just expressing this building, what it was, what it’s history was and where it’s going,” says Nyhoff Architecture principal Mairi Nyhoff. “When you walk into the building, you feel its permanence. You feel the weight. You feel the texture and the character. And we worked really closely with the City of Calgary and provincial heritage authorities to find a way to engage the building that was respectful and honest about how we would engage that heritage character. We were really drawn by that feeling of authenticity. So … every material we picked was really intended to build upon that,” says Nyhoff Architecture principal Kevin Nyhoff. 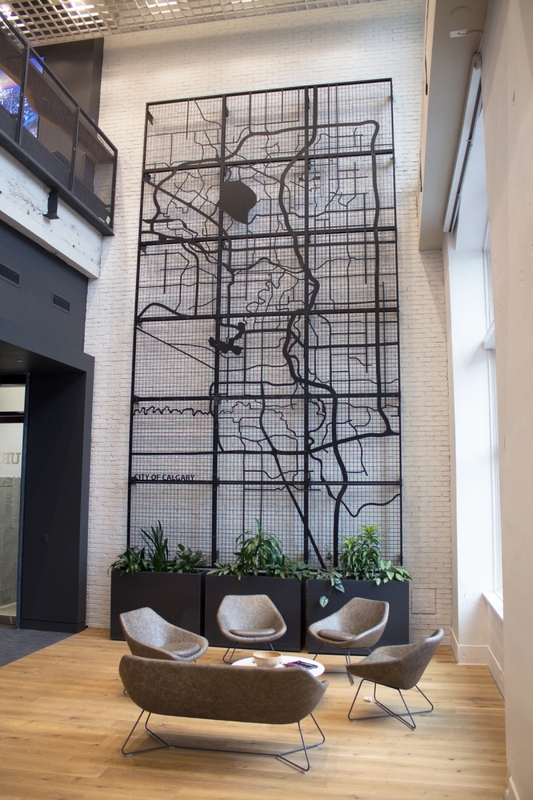 One of the most eye catching features in Urban Systems’ lobby are two laser cut steel armatures that are 22 feet tall. They’re meant to be green walls that plants will eventually grow up. Until then, the grids feature a map of Calgary. Photograph by Alana Willerton. Before Urban Systems got this office space, the first and second floors weren’t connected. Nyhoff Architecture spent six months taking out part of the second floor and putting in a staircase to connect the two floors. The exposed concrete beams show where the floor used to be. “We literally cut a massive hole in the floor and interconnected and cut all the beams. [We] chipped the concrete off and opened the two floor plates up,” says Kevin Nyhoff. This opened up the lobby and showcased the building’s big windows that connect the office to the street. Fun fact: if Urban Systems ever decides to leave this office space, their lease agreement actually says that they would have to put the second floor back. Photograph by Alana Willerton. Upstairs, this hallway known as “the street” connects the kitchen and the social lounge and leads to the staff desks. Facilities like the kitchen, washrooms and many of the boardrooms are all in the middle, while the open desk areas run along the windows. Photograph by Alana Willerton. The Urban Systems staff congregate in the kitchen and common area for snacks on Thursdays at 10 a.m. and for beer o’clock on Friday afternoons. Staff can also work at these tables, which have outlets tucked underneath. Photograph by Alana Willerton. The office’s social lounge is right beside the kitchen and features plenty of seating (not to mention a huge television screen) where staff can work, do presentations or socialize. Photograph by Alana Willerton. A live edge wood counter runs along part of the social lounge and overlooks the new opening over the lobby. 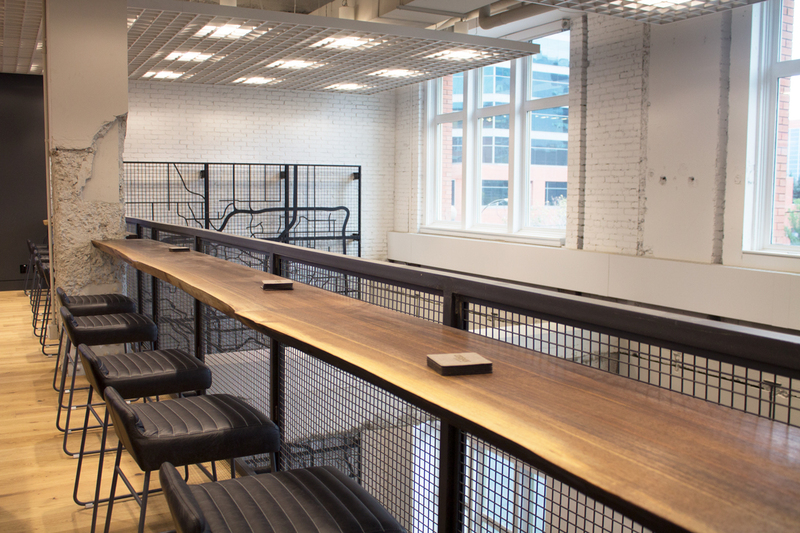 This area provides a particularly good view of how the Nyhoff team incorporated grids into the office’s design. Photograph by Alana Willerton. The Memorial Library is meant to be a space where staff can come work when they need a more quiet environment. 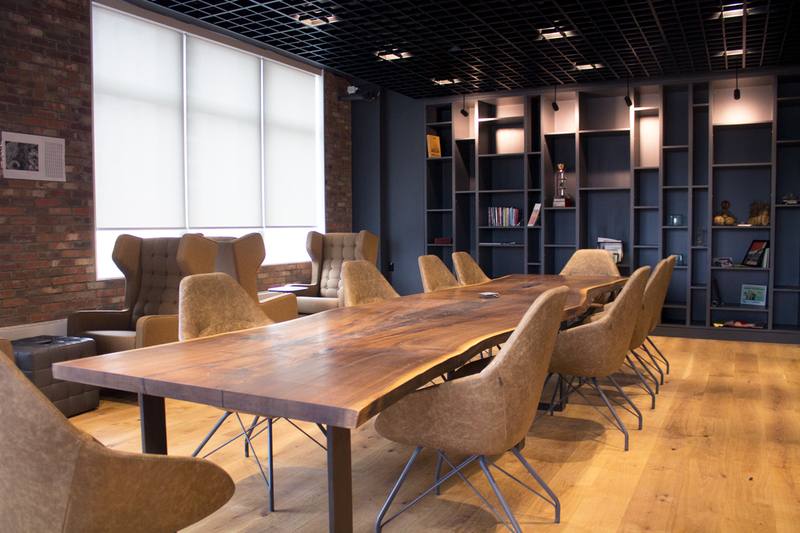 It features one of the office’s many live edge Canadian wood tables made by Black Forest Wood Company. Photograph by Alana Willerton. 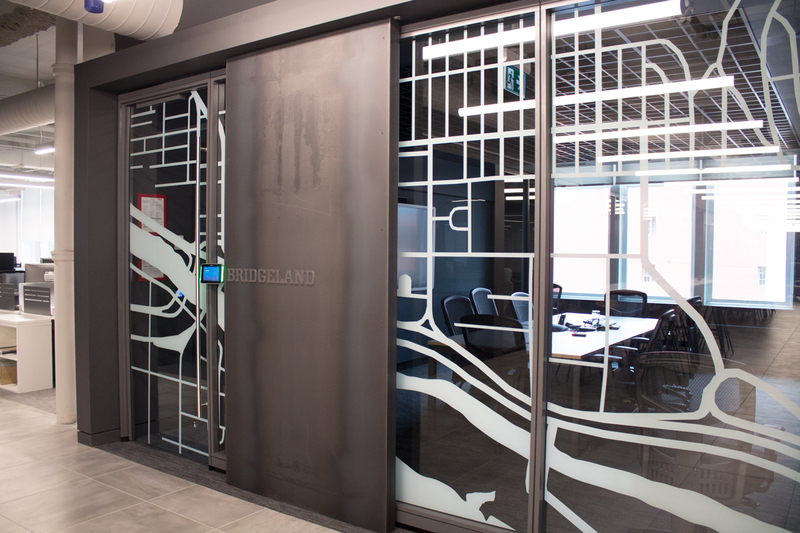 The boardrooms and phone booths are named after several Calgary communities, including Inglewood, Sunnyside, Mission, Bridgeland, Montgomery and Renfrew. Photograph by Alana Willerton. 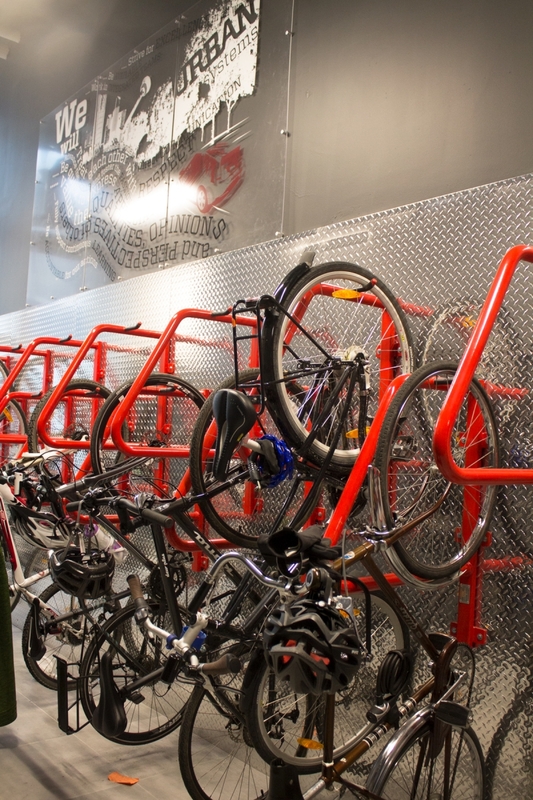 The office has a locker room equipped with bike racks, lockers, showers, washrooms and a set of weights that staff can use. Photograph by Alana Willerton. 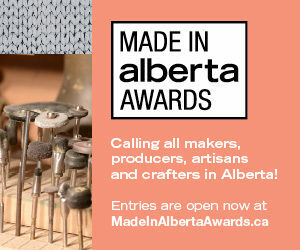 Do you have a suggestion for a Calgary office we should feature next? Tell us what makes the office space notable and, when possible, supply a few photographs for reference. Let us know.